There’s been an unsettling mystery about a missing Filipino-American war memorial that’s been going on among historians for decades now. But thanks to an “amateur historian” and his team, the site of Major Logan’s Memorial Cannon, which once stood in the town of San Jacinto, Pangasinan, is now found. It’s a significant historical marker of the Battle of San Jacinto, a clash between Filipino and American forces that happened in 1899. Major John A. Logan was an American army officer who served during the Philippine-American war. He led a large number of troops in the Battle of San Jacinto with the sole purpose of trapping and capturing Emilio Aguinaldo. Unknown to Major Logan and his troops, Gen. Manuel Tinio (who was the youngest general of the revolution) had already brought with him 1,200 to 1,600 men ready for combat. 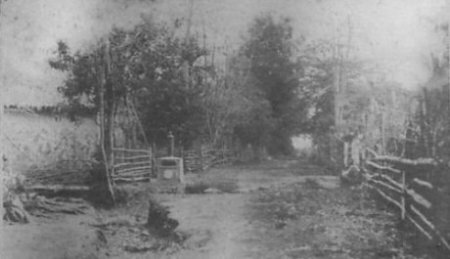 Major Logan was wounded and eventually killed by a Filipino soldier who was on top of a coconut tree at that time. Furthermore, there were 134 Filipino casualties during the encounter. Memorial cannons were erected to preserve the memory of American army officers, as well as Filipino soldiers who died during the Philippine-American war. Like a missing piece to a puzzle, the discovery of the long-lost war monument’s site completes the line of four known memorial cannons in the country. The other three cannon memorials of key war figures namely Major General Henry W. Lawton (San Mateo, Rizal), Col. John Stotsenburg (Bulacan), and Col. Harry Clay Egbert (Valenzuela City) have been preserved. It was only in 2013 when the giant cannon was unearthed and restored at a government complex in New Valenzuela City. But the actual site where it originally stood was still unknown by then. Ramirez, a Commission on Elections employee and part-time historian, was initially just curious on the site’s whereabouts. He and his team found the remains of the site inside a “family yard with piles of firewood stacked above it” at Barangay Macayug in Pangasinan last December 2018. In a quick interview with Nolisoli.ph, Ramirez said that there are now talks among locals about putting up a restored Battle of San Jacinto monument. “I think one councilor is planning to file a resolution for the creation of a monument,” he added. Let’s hope that historical monuments such as this won’t be lost to oblivion. Header image courtesy of Mac Ramirez.